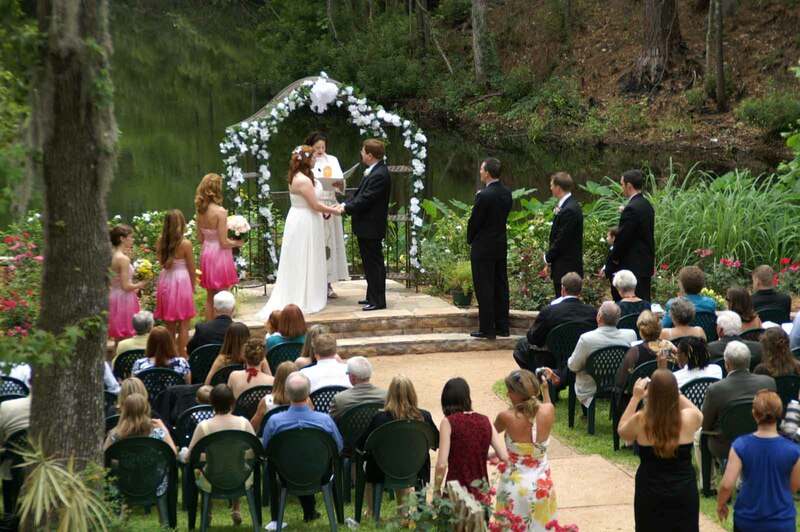 The Retreat at Artesian Lakes, located only an hour from downtown Houston off Highway 59, is an ideal venue for regular and “Destination Weddings” and can comfortably accommodate parties of up to 150 guests. Quietly nestled in over 100 acres of East Texas pines and surrounded by interconnected Artesian fed lakes, the retreat offers several breath-taking backdrops for those interested in incorporating nature into their special day. We offer a variety of outdoor venues for your ceremony, exquisite menus for your rehearsal dinner and reception alongside amenities like a secluded bridal room. While some couples choose a quiet lakeside ceremony, others celebrate with their guests all weekend long! Offering customizable packages that fit every budget and desire, the Retreat at Artesian Lakes is a truly unique location for your wedding! The Hilltop complex features two meeting rooms, a private dining room and an outdoor terrace. The main dining room has a breathtaking view of an Artesian fed lake and the woods beyond. The adjacent Herb Garden features elegant stone retaining walls, water fountain, grassy lawn, and wrought iron ceremony arch making it the premiere location for outdoor weddings. Our secluded log cabins are nestled between the tall pine woods and feature plush king-size beds, fireplaces, double Jacuzzi tubs, love seats, mini bars, and decks with beautiful lake views. Activities abound at the Resort, like our saltwater swimming pool and its grotto hot tub, massage and spa services, hiking, biking, canoeing, fishing and much more! The abundance of wildlife amidst a peaceful, serene environment sets us apart from other locations. 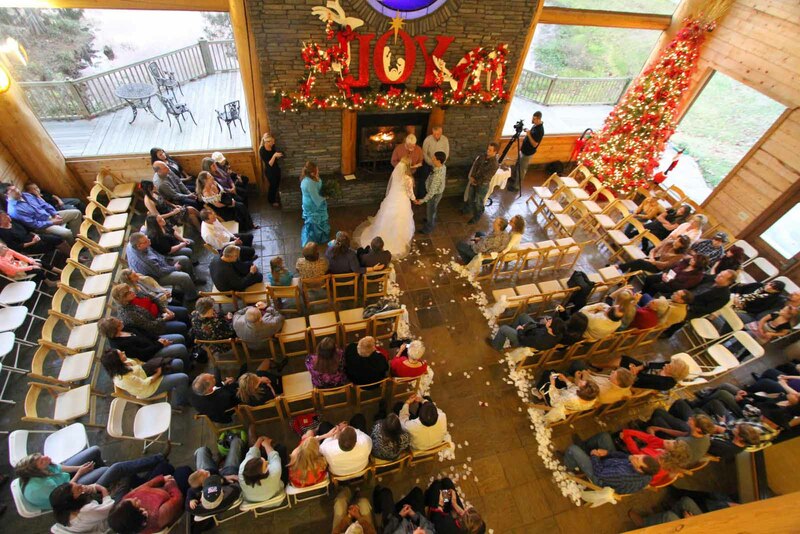 For the wedding of your dreams, the natural choice is The Retreat at Artesian Lakes! Please contact us to schedule a tour of our facilities by calling (832) 397-4007. We look forward to serving you soon! View our Wedding Information Packet.